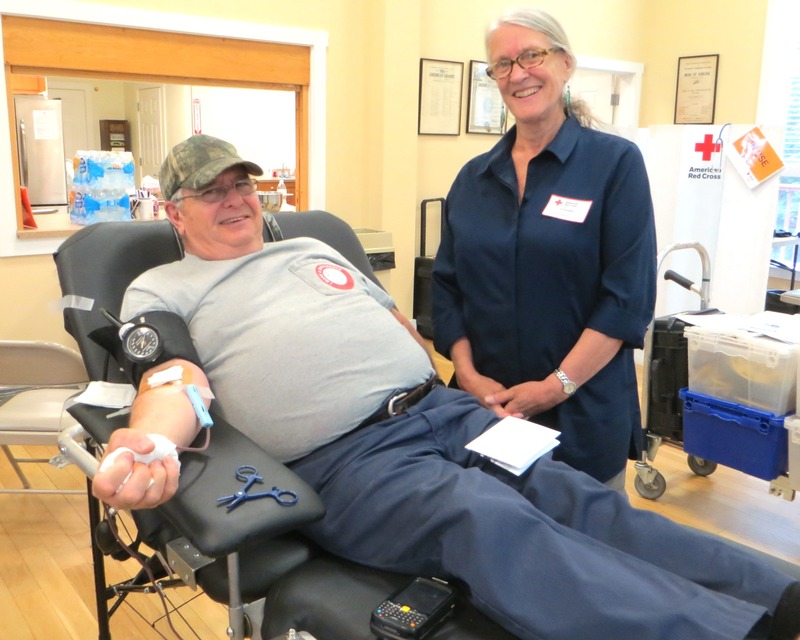 The WCA hosted its first of two Red Cross Blood Drives on June 16. Blood donor John Demars of Newbury is assisted by volunteer Judy Hauck. Whether you reserve a time in advance or need a walk-in appointment, the WCA’s Red Barn on Village Road in Wilmot is a perfect venue for a blood drive. Nancy Large, WCA president headed up the event. “We are delighted to work with the Red Cross on this important project,” said Nancy. On average, donors needed to set aside about a half hour to donate blood. 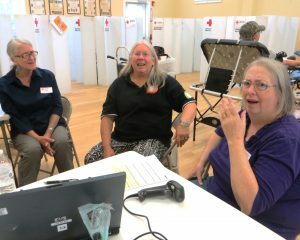 Experienced Red Cross staff provides private booths or comfortable recliners for donors while volunteers help with check in and the refreshment table. The next Blood Drive at the WCA Red Barn is scheduled for 9 a.m. to 2 p.m. on August 25. This entry was posted in WCA, WCA Events, WCA News and tagged Red Cross Blood Drive by admin. Bookmark the permalink. Thanks to all the donors, volunteers, and the Red Cross for helping those in need in our community. Patty went above and beyond her volunteer ‘duties’ and also donated blood. Thanks, Patty!